There’s nothing more satisfying than a steak cooked to perfection. At Stonewalls Kitchen, we aren’t your average steak house in Rapid City, and we like it that way. Our Angus brand steaks have helped us to become the best steak house in town, but steak isn’t the only thing we offer, although ours is so delicious that it probably could be the only thing we offer. We also offer pizza, pasta, soup, salad, burgers and so much more, but even with everything we have to offer, steak is still one of the most popular options on our menu. That’s because nothing can compare to the experience of biting into a juicy, tender steak that was cooked to perfection. Have you ever bit into a steak that was too dry or seasoned all wrong? There are many ways to do steak wrong, but no matter the reason for the botched steak, the disappointment can practically ruin your day. 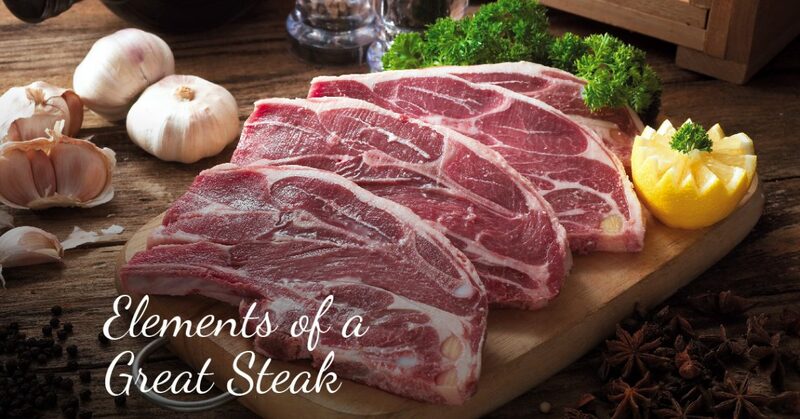 Here at Stonewalls Kitchen, we are dedicated to doing steak right every time, and once you try our mouth-watering steak, you’ll never want to settle for a dry, inexpertly seasoned steak again. Great steaks are like the Holy Grail of food. You spend your whole life looking for these elusive steaks, and when you find one, it’s almost as if the heavens have opened up just for you! But what exactly makes a great steak great? The Grade – Great steak starts with a great cut of beef. Regardless of how you season it or cook it, if you don’t start out with a prime cut of beef, you’re up the creek without a paddle. That’s why, here at Stonewalls, we proudly serve a 12oz Certified Angus Brand rib-eye, which is one of the most sought-after cuts on the market. The Aging – Have you ever wondering why your steaks at home just never turn out like they do at your favorite steak house? Part of the reason for this is that steak houses typically age their beef. This improves the tenderness of the meat and intensifies the flavor. There are two kinds of aging: wet and dry. Wet aging is achieved by placing the meet in a vacuumed sealed package and leaving it to sit in its own juices. Dry aging involves letting the meat sit for days or even weeks in a highly controlled environment to avoid spoilage. The Seasoning – If you start out with a great cut of beef and you age it properly, your steak should need very little in the way of seasoning. However, even the best cuts of steak can be complemented with kosher or sea salt, coarse ground black pepper, garlic and a sauce. Some steak houses also use a marinade, and others use a liquid mixture to lock in moisture and flavor. Here at Stonewalls, you have three seasoning options for your Ribeye: Cajun seasoned, seasoned with Stonewalls signature seasoning blend or drizzled with brown sugar and bourbon sauce. The Cooking Method – The best steaks are cooked at incredibly high heats, which is yet another reason why it’s difficult to achieve steak-house-quality steaks at home. Steak houses have overhead broilers that allow them to produce extremely hot temperatures. Once you have the heat, all you need to cook the steak to perfection is a cast iron griddle or pan. Steak is one of those things that will never get old and will always be the number one choice on the menu. If you are looking for a great steak in Rapid City, it’s time to turn to the best steak house, Stonewalls Kitchen. Make your reservation today!